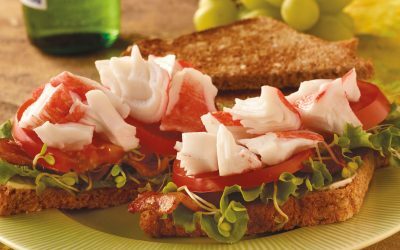 Combine Lobster Delights® with fresh fruit, veggies, and homemade poppy seed dressing for this simple and delicious Lobster Seafood Slaw. Ready in just 5 minutes, this dish is perfect for your next picnic or as a light lunch on a beautiful summer day. In a medium bowl, whisk together apple cider vinegar, Dijon mustard, and honey. Slowly whisk in oil. Stir in poppy seeds, and add remaining ingredients. 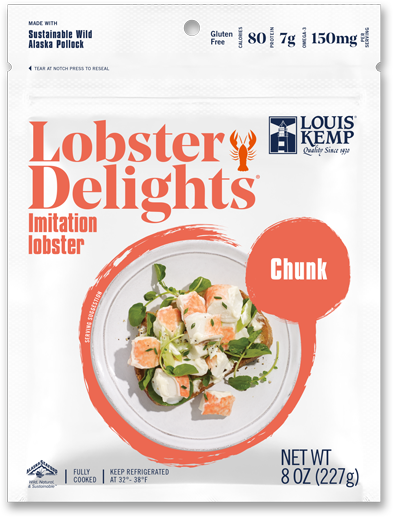 Louis Kemp Crab Delights® Chunk Style may be substituted if Lobster Delights® are not available in your area.